Italian charcuterie - home cooked food delivered. 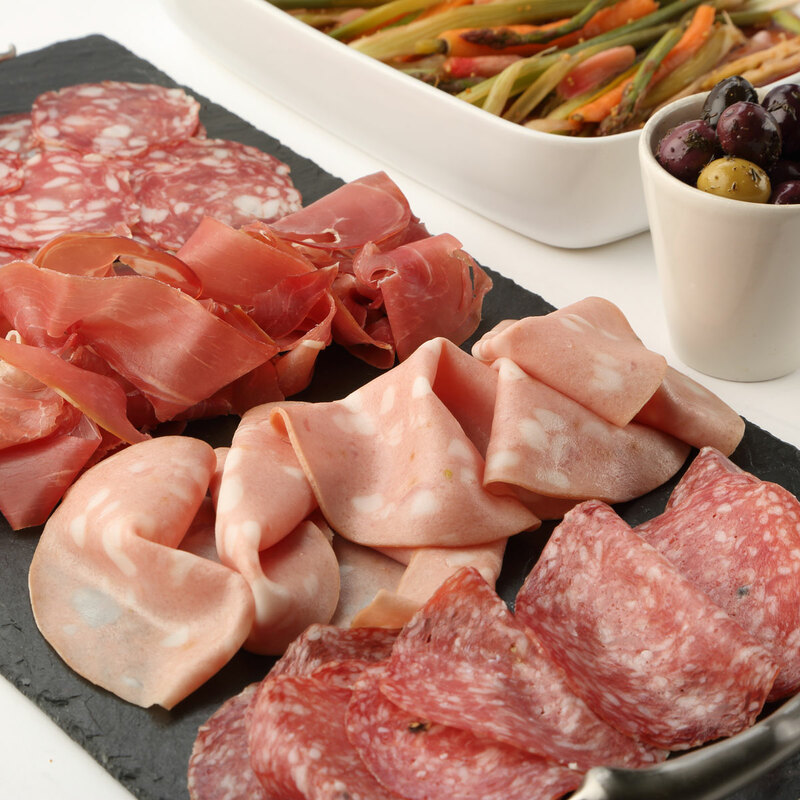 A decadent platter of assorted Italian cooked meats. Revel in the varied tastes and textures of salami Napoli, salami Milano, Parma ham and meltingly soft mortadella, accompanied by cornichons and mixed marinated olives. A great, informal way to start any meal, or an easy appetizer to serve with pre-dinner drinks. Use within 5 days and do not freeze.